SHOULD WE DO WHATEVER IT TAKES TO WIN?? We have often been told by our elders to go down and play, to not sit idle in front of the television, to be more active and to stay fit. Physical and mental health both serve as prerequisites to achieve great heights in life. Sports, an integral part of all our lives, is one of the many means to accomplish a healthy body and a sound mind. Sports have a tremendous impact on our culture, influencing the values of millions of participants and spectators. When you look at the definition of sports in the dictionary, it is described as “a physical activity that is governed by a set of rules or customs and often engaged in competitively”. The fundamental idea of sport is that along with keeping us fit physically it also helps in creating unity, building a strong character, teaching the virtues of dedication, perseverance, endurance and self-discipline, promoting moral values and enriching community pride. This is why it is important that sports are played properly and good ethics and values are shown. Is today's sport, with all the money, commercialization, drug abuse, match fixing and bribing, still ethical? Can we be sure that the winner is really the best, and not just the one who paid off the referees or the one who took performance enhancing drugs? In our opinion, sports in general has become highly commercialised and the flavour of true competition within the boundaries of fair-play has been lost. It has gone far beyond that, what was often termed as the “celebration of the fittest”. The prevailing unethical behaviour in the sports industry has further deepened. There are many forms of unethical behaviour starting from players and referees all the way to the media and fans because of the rising competition. Competition by itself “is not unethical”. Competition is essential to sport as a good motivator, “but it can drive some competitors to unethical behaviour”. Hence it is of utmost importance to see the bigger picture and understand the significance of ethics in sports. The most important objective in life should be, not conquering but fighting well. But sadly this spirit has faded out from the minds of everyone who is involved with sports. Where has this message gone to? Nowadays, it seems like everyone is only interested in and running behind the rewards. The motto of the Olympics; "Citius, altius, fortius" - "swifter, higher, stronger", which can be interpreted as “striving to beat one's personal best” cannot be seen into application any longer instead everyone wants immediate fame and success without any hard work. When we were young, and still competing, we remember people telling us that it is not important to win, but to take part. Nowadays, sport is all about money. If you have money, you can be better, stronger and more successful. But what about the ethical issue associated with this? These days, athletes, sportsmen or professional players earn gigantic amounts of money. They do not only represent themselves as individual, but many times, they are also the brand icons. These brands look to create multi-million contracts with sports persons in order to associate their brand with their brilliant performances. Therefore, needless to say that these athletes are put under gigantic pressure, not only from their teams, but also from their sponsor heads. Besides this fact, many of the professional athletes represent the icons, or are role models to many young people all across the world, so the pressure is even greater. This creates fertile conditions for unethical conduct, sometimes unintentionally and sometimes on purpose. Being unfair, does not have to necessarily mean acting illegally, but it can still be referred to as cheating. Such forms of cheating may be distracting your opponents during the game or the race by saying different rude/derogatory things to your opponents, also “misrepresenting one's skills is another technique”, where you make your opponent over or underestimate you, which may benefit the athlete. These examples are not against the rules, but certainly could be referred to as unethical behaviour. Another example of unethical behaviour especially favourite among football players is called faking or simulation of the foul. This has been incorporated in to the rules of football because of the frequent misuse by players. The most concerned and popular unethical behaviour among players is using performance enhancing drugs. This form of cheating is not legal, and the costs incurred for controlling doping results in huge sum of money to the international federations. By definition, performance enhancing drugs “are any substance taken to perform better athletically”. Consumption of such drugs not only enhances your performance, but it also causes serious health problems. This issue is not only a problem of health of the abusers, but these athletes are role models for many young people, so if the case comes into picture, young people can copy their models in order to win. We are living in a very competitive world with everyone trying to push the borders. That is why many people start using drugs; they are unable to keep up with the others, who might also use doping. One of the sports where doping is prevalent on a large scale is Cycling. Lance Armstrong has been accused several times for using such drugs, but it has never been confirmed. Many people think he must have taken something, because of his extraordinary performance at The Tour de France. Another case with the use of doping was revealed in 2003, it was “the biggest doping cover up”. In the 1988 Seoul Olympics, Ben Johnson, a Canadian sprinter, won a gold medal in a World record. But later, he was positively tested on a forbidden substance, so the medal was taken from him and given to Carl Lewis, the American athlete. But 15 years later, it was revealed that 19 American athletes who had not passed the drug tests “were allowed to compete at Olympic Games” from 1988 to 2000. Among them was Carl Lewis, who was given the gold medal, after Ben Johnson was disqualified. The number of athletes that failed the drug tests has an increasing potential. This is not a good sign for the sport, it gives bad impression. Several athletes that fail the tests publicly assert that others use it as well; they just have not been caught. These kind of excuses ought to not be given and moreover the usage of drugs should be altogether exterminated. Bribery is a very common and an unethical practice which makes sports look dirty. Referees are also exposed to enormous pressure since there is a lot of money involved in the sport, therefore winning can sometimes be achieved by other ways than just a matter of chance. If the team is about to fall out, or it is a very important match, referees might be tempted to make decisions in favour of only one side. Referees should be honest, and their priorities should be set straight, i.e. not money, otherwise they are very likely to be bribed which will result into unfair and biased decisions. Referee can also influence the game inadvertently, without being bribed. It is because referees are also only humans, and humans tend to make errors. In some sports, referees have to make decisions in split seconds, where technology is being deployed to help referees out if they are not sure about the decision. In hockey for example, there is also a video referee, in cases the main referees on the pitch do not see what happened. Also in tennis, a new technological feature was introduced, a “Hawk-eye”, which is an “electronic line-calling system”. This feature is used when a tennis player challenges the line call. The questioned call is replayed on the screen, and the new call is then made. Many people also wanted such features to be included in football. Video- referees have been deployed in a testing phase for the same purpose along with cameras inside the net to show whether the ball passes the line or not in disputable cases. Referees are a crucial part of any sport and hence their unbiased decisions are of utmost importance. Those involved with Television and the radio are also to be blamed for unethical conduct that take place in sports. These two are the main forms of commercializing the entire sports industry. It may be a questionable fact as to what extent does the media tell the truth about the player or the team. The evaluations and deductions from the media may be biased as well. A private television may be a partner of a sporting team, and they will intentionally try to generate a better picture for their viewers about that concrete team for popularising them. This is also very unethical. Sport journalist or commentators can favour one team or the other, and their evaluation of this team can be biased compared to what is true in reality, and so the public may perceive it this way too and tend to follow their footsteps. Media can very easily destroy the whole reputation and image of certain player or an entire team. On one side, it is good to have media, because we can watch many different matches all over the world, but on the other side, the pressure that the media creates on the industry is enormous. In a basketball game, a player who fouls another player isn’t considered immoral, rather he/she is violating a rule of the game. 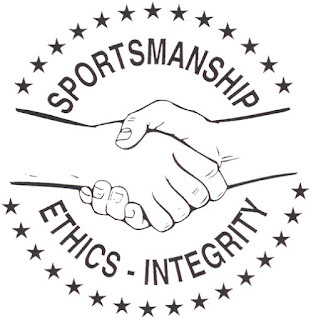 Further, we hold athletes and coaches to an important code of “sportsmanship” that extends both on and off the court. But, what about the fans? Is a team at fault if its fans behave in ways that give the team a strong home-court advantage? Fans are often the worst perpetrators of both pre and post-game “trash talk” and have been known to direct demeaning and even discourteous chants at opponents. This group is also connected to sport ethics, even though fans do not get any money from the actual sport, instead they have to pay to watch it. For some fans it is hard to understand that it is not always possible for their team to win and also the fact that the opponent has an equal chance of winning the game. There are fans that believe everything is fair for their team to win, which is different from supporting the team. Such fans are called “hooligans” or “ultras”. Often, chants are aimed to intimidate or psych out opponents, taking aim at their personal lives. We have a large number of examples where play has been stopped or the players have had to suffer because of such disreputable fans. A recent case happened in France where a Ligue 1 match between Lyon and Bastia was called off as home supporters attacked Lyon players, Ultras from the Corsican club spilled onto the pitch and swung punches at the Lyon players. So the question is, where do we “draw the line” between appropriate cheering and offensive, even unethical, fan tactics? Is it right to mock these players for their personal lives, is it right to make light of subjects as sensitive as sexual assault in a sports atmosphere? Such a behaviour should not be present at sporting events, because it is against fair play. These consequences might be considered a failure of the organizers, and also of the law, because it is sometimes ludicrous, what these “mobsters” are capable of doing. On the 22nd of June, 1986, England was defeated by Argentina in a World Cup quarterfinal, thanks to a controversial goal scored by, legendary footballer, Diego Maradona. The goal, famously referred to as the ‘Hand of God,’ was clearly in violation of the rules, as video shows. Neither referees were sure at the time whether or not it had been a violation, but videos show Maradona’s clear usage of his hand. The goal elicited intense reactions from soccer fans- some celebrated the goal, others belittled it- but no further action was taken. So, while the act wasn’t necessarily considered a ‘good’ one, it wasn’t deemed ethically wrong enough for outside entities to step in. It was luck which played a huge part in Maradona’s favour, and the hand went unobserved at the time of the incident. He was of the opinion of a must win result for his country be it by “hook or crook”. He made sure that the victory was a fair one in terms of game regulations (rules which have a penalty or consequence during the game) but had to stoop down to a level which has marred his image to quite an extent in the heart of many of his fans. So what we are left with is an example of when breaking the rules is morally acceptable. Maradona used his hand, in clear violation of basic football rules, but he wasn’t punished for it. His goal was counted, the win stood as it is, and there were no further ramifications. While some people were clearly upset, it isn’t all that clear whether the English fans were more upset over losing because of the illegal goal or that they actually rejected Maradona’s rule-breaking goal on “principle”. Rather, his goal is more often met with general amusement, sly smiles, and blame on the referees for not calling it- not on the player for trying it. In a match against Italy during the 2014 World Cup, Uruguayan striker Luis Suarez appeared to have bitten Italian defender Giorgio Chiellini. This type of violent action against an opposing player is clearly against the rules- it’s prohibited, just as the use of a hand is. Yet, this act caused a sturdier reaction in response. The reasons for which may seem pretty obvious. The act is condemned and despised, and Suarez was, after the game was over and the incident reviewed, suspended from “all football-related activity” for four months, as well as had to pay a fine for the incident. This action was strictly met with punishment- not amusement. Suarez’s action crossed some unspoken ethical1 line. But that ethical line doesn’t seem so clear. Perhaps the line is injury; doing something that would cause physical harm to an opponent is considered unethical. This seems like a compelling option but there are instances where players ‘flop’ or ‘fake’ extreme pain to increase the likelihood of the other player being reprimanded and having a foul being called on them. The stage was finally set. Africans around the world and those who had taken on the Black Stars as their second team were cheering on the men in red. The ball looked so close to crossing the line. And then in just a moment, it was all taken away. The Hand of God 2.0, as some will fable, had risen from the grave in the form of another young South American. Luis Suárez, in a last ditch effort to save his country’s place in the World Cup, took it upon himself to become the illegal goalkeeper and batted the ball out of the net with his own arms, stunning viewers all over the world. Some Ghanaians, preparing to rejoice, were stopped cold as they saw their dreams potentially torn away. Suárez’s point of view tells a different story. Uruguay, once held in high esteem in the world football stage, had retreated over the past 40 years. With the likes of Diego Forlan and Luis Suárez himself, this current team was one of the best squads since the glory days and semi-finals would have been a massive goal for a country that craved to be a team that was at par with the other South American giants, such as Brazil and Argentina. Thus, Luis took it upon himself to save his country and decide to ignore the rules, handling the ball in an attempt to save Uruguay’s spot in the semis. Rightfully so, a red card was issued to Suárez banning him from the possibility of playing in the semi-finals if they were to qualify, but at least he gave his team the chance to do so. This incident made him the subject of controversy all around the world, but needless to say he became a national hero in the hearts of all Uruguayan football fans. He selflessly and consciously gave his team a chance to play the next round knowing in surety that he would not only have to miss out on his chance of representing his nation but also be highly critiqued and loathed all across the footballing community. As narrated above, the sporting environment is becoming more and more connected with unethical behaviour. Sports as such, should be “creating unity, promoting values and community pride”. It can tremendously affect peoples' lives and therefore, everyone involved in sports from coaches, parents, athletes, fans to referees should try to make it as fair and enjoyable as possible. “Glory cannot be owned”. Everyone can get a hold of it, but not for ever. “Don't give up after a bad game”. Bad games should only make us physically more prepared and mentally even stronger. “Successful athletes do not have enemies”. We should respect our competitors, rather than looking for ways to attack them. Rules are not the only important thing in sports, but so are values and morals associated with it. It is essential for the coaches to teach their athletes the essence and importance of good and fair behaviour, because people have different values. While some people choose to ignore morality and righteous intention towards the game, other people cannot even distinguish between what is good and what is bad. What we believe is that, these four values are “the most important…in sport ethics”: fairness, integrity, respect and equity. Integrity, according to Cambridge dictionary, means “having strong moral principles that you refuse to change”. Fairness means to treat people fairly, equally, and without bias. Equity, meaning that everyone should be treated equally, and finally respect; athletes should treat others with honour. As we suggested in the introduction, we think sports has to an extent become unethical. While in the past, in ancient Greece, when there were Olympics, no wars were allowed, everyone was celebrating the beauty and the art of sports. People were cheering all together, and when the winner came up, they treated him with respect and dignity which he deserved rightfully. Unlike today, when we have Olympic Games, we are worried about the terrorist attacks and anti-doping controls have to be run to ensure the fair-play. We are against the doping or any other performance enhancing drugs such as steroids, therefore we support games that are played cleanly with integrity and respect without any form of cheating. We think the players should be careful and there should be more serious penalties for abusing drugs. It should be part of our educational system to educate young children about the cons of using such substances. Also the morality in sport and ethics in general needs to be improved. In this day and age people, young kids especially are being very aggressive towards each other, which leads to similar consequences as mentioned above. Fans fight with the fans of other clubs, people are apprehensive to go and watch a football match with their kids because of the reasons which are quite clear. We also think that too much money is floating in the sporting environment and that they should not be sponsored so much by corporate businesses and industries, and the salaries and transfer fees should be much lower and reconsidered. We think it is unbelievable, how much money some of the best players or athletes earn. If we imagine there are millions of people on this planet that do not have their basic needs of food, clothing and shelter satisfied, it is against the logic which is really disheartening. On the other hand, there are people supporting doping and the use of steroids in sport, claiming that they want to see the borders of human ability to be pushed, and so are supportive. There are even people who would choose to die earlier, from the side effects of the steroids, just to be the best, to feel the glory. Ethics in sport is very important. Our culture has created this competitive hatred against each other along with all the money involved in the present form of sport. Sport can have a huge influence and unimaginable impact on the lives of people therefore we should try to stop the unethical issues that are affecting it. We have to understand that it is not possible to win every time we play and that one should learn how to accept defeat. It is very important to learn how to handle losing in a way it can help us in the future. Even if we lose, it is important to show respect to our competitors. We, the people on Earth have caused this turn-over of what was initially a celebration and an event of joy and sporting prosperity, to so called “sport” full of hatred, jealousy and shortcuts, hence it is up to us to decide which path to follow and bring back the days of glory.